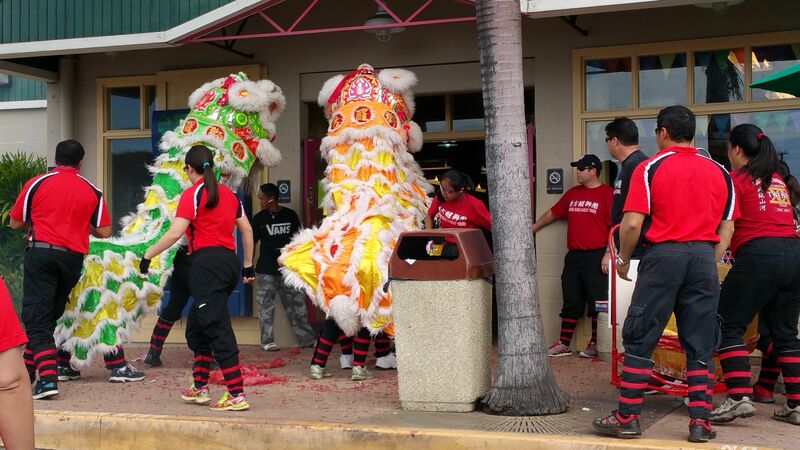 This year, the Waipahu Festival Marketplace celebrated the Chinese New Year on Sunday, February 22nd. The traditional Dragon dance performed by the Asian Lion Dance Team throughout the marketplace. They started with the great sound of “Firecrackers” at the entrance and entered and performed. Great celebration Asian Lion Dance Team thank you! Also featured was a “Clown” that made much entertainment for our young and old folks. Thank you all for your support!